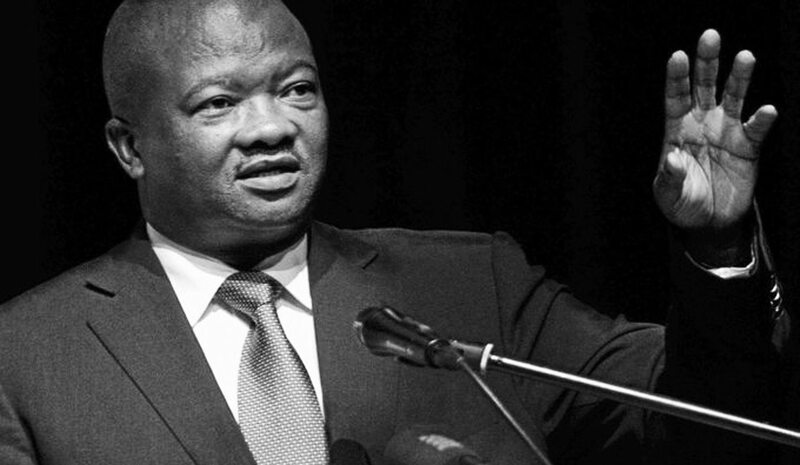 The United Democratic Movement has welcomed Deputy Finance Minister Mcebisi Jonas's candour in confirming that the Gupta family offered him the post of Finance Minister in December. By BANTU HOLOMISA. The United Democratic Movement (UDM) welcomes the shocking confirmations made the Deputy Minister of Finance Mr Mcebisi Jonas on Thursday. His bold decision demonstrates his commitment to his oath of office and confirms that at least within the ruling party there are some who put South Africa and its citizens first. This behaviour by the Gupta family can be best described as treason. Unfortunately, they have not captured the government of South Africa without the knowledge of President Zuma. In fact, they surely have his approval and probably a mandate, too. It will be interesting to know whether he himself was not frogmarched to the Union Building; as well as whether many other ministers and senior government officials were not appointed by the Guptas since 2009. On Sunday, the 13th of March 2016, the president is on record, in an ANC Alliance Eastern Cape meeting, defending the Guptas, saying they helped his son, who is their business partner, to get work experience and a job when he could not get one (in) South Africa because he is a Zuma. This behaviour by the president makes it impossible to believe anything but that the Gupta family are in total control of the South African government and some state institutions. We have been consistent in saying that President Zuma is no longer a liability to the ANC but is also a threat to the country and its wellbeing. We have also written to the Speaker of the National Assembly suggesting that the relationship between the family of the president and that of the Guptas is threatening the security and the economy of the country. The confirmations by (the) Deputy Minister vindicates us. We suggested to the Speaker that the Parliamentary Joint Standing Committee on Intelligence should investigate this relationship and its impact on the security and economy of the country. The African National Congress and South Africans must remember that the Gupta family never contested elections in South Africa and therefore were never voted and never took an oath of office, yet they exercise powers only reserved by the Constitution of the Republic to the person in the highest office of the country. There is a symbiotic relationship between the events that resulted to the country losing billions of rand in December 2015, which were characterised by the sacking of Minister Nene, the appointment of Minister van Rooyen and the now confirmed offer by the Guptas – surely they have a mandate. We advise the ANC to do itself a favour and cleanse itself of this monumental embarrassment and probably regain some of the credibility they have lost since the coming of President Zuma into public office.